"If we can rename the Boulevard after him, it would be a huge cultural step forward. 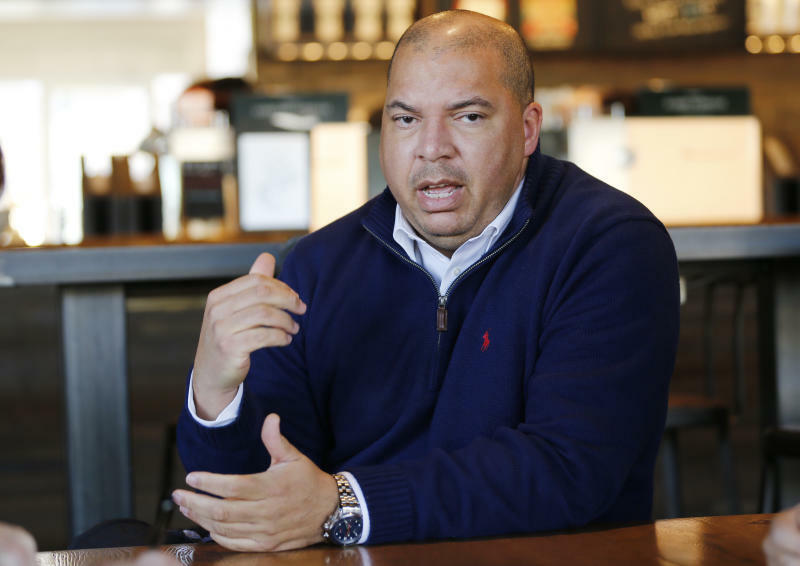 This is where we can start with reconciliation and we can start talking about the issues," says Ashe's nephew, David Harris Jr.
"It would be an opportunity for the City Council to be leaders on this. We know what's going on down the street at the state Capitol. This would be a way for the City Council to say, 'We want to show you the way.'" Ashe's once-segregated hometown boasts an athletic center named after him, and a bronze sculpture of Ashe sits among Richmond's many Confederate statues. But a proposal to rename a historic street for Ashe has been defeated twice since his death in 1993. Leaders throughout Virginia's political structure have called on Gov. Ralph Northam to resign after a racist photo on his 1984 medical school yearbook page surfaced recently. Days after Northam's admission, Attorney General Mark Herring was forced to acknowledge that he, too, wore blackface in the 1980s while trying to look like a rapper at a college party. Meanwhile, for all of Richmond's hometown pride in Ashe, repeated attempts to rename a city street after him have failed. Harris initially resurrected the idea of renaming the street after his uncle last year. Called simply "Boulevard," it's a busy 2.4-mile (3.9-kilometer) stretch dotted with restaurants, museums and stately homes. Modeled after grand European boulevards in the late 19th century, Boulevard was designated as a state and national historic landmark in 1986. Some residents and business owners say they don't want to change the historic name. Others cite the inconvenience and expense of officially changing their address, including getting new letterhead and signs. "I find it hard to believe that people get that angry over stationery," said Gray, who said she's received racist emails over the proposal. 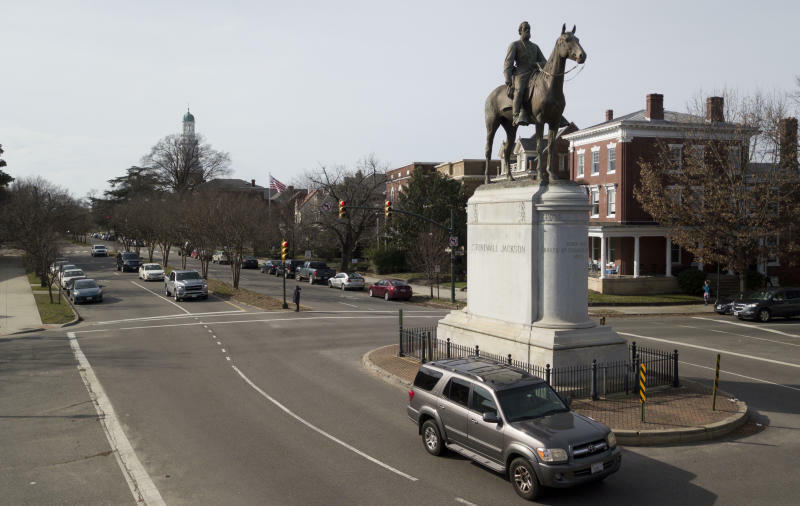 The controversy comes at a time when Richmond, a one-time capital of the Confederacy, has been grappling with calls to remove Confederate statues. Richmond's Monument Avenue features statues of five Confederate figures, including Gen. Thomas "Stonewall" Jackson. Ashe's statue was erected among those rebel icons in 1996, but only after rancorous debate. "We've celebrated things that have been associated with slavery for years. Well, let's celebrate equality, inclusion and diversity, as opposed to the slave picture we've had in Civil War history," Harris said. Richmond Mayor Levar Stoney urged the City Council last month to approve the change, calling Ashe "one of Richmond's true champions." A 2004 city ordinance says street names indicated on city maps for 50 years or longer should only be changed under "exceptional circumstances." Gray and Harris say they believe naming Boulevard after Ashe is one of those circumstances. But City Council member Parker Agelesto, whose district covers part of the street, said his constituents favor an "honorary renaming" that keeps Boulevard as the street's official name. 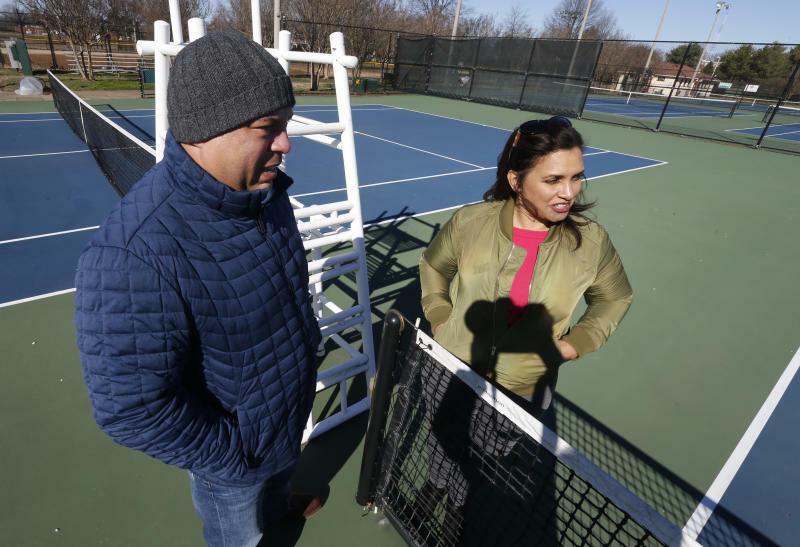 "Nobody wants this to be controversial, and Arthur Ashe is not a controversial figure," Agelesto said. "The question is: How do you make it successful for all parties involved?"